Everything made simple with JTAG Finder ! What is JTAG Finder ? Figuring out the JTAG Pinouts on a Device is usually the most time-consuming and frustrating process and Finding the pinouts for these ports allows you to access with correct JTAG Devices , and JTAG Finder helps you to get started . 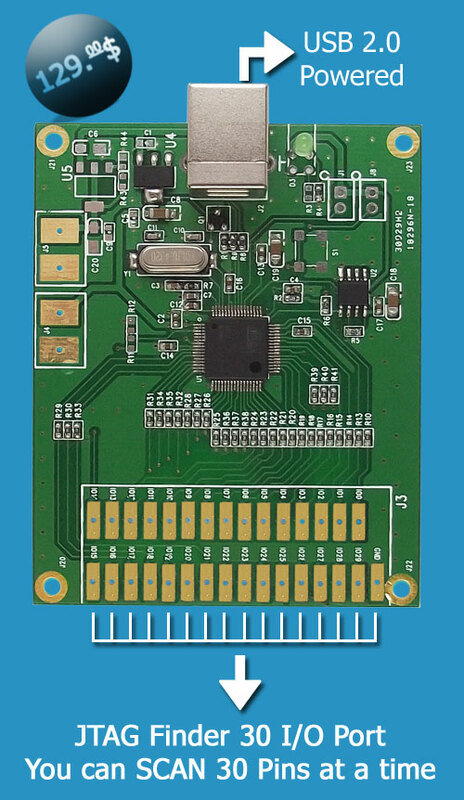 You can find any device's pinout with JTAG port available with JTAG Finder in only few minutes . You have 30 I/O [Inputs / Outpus] where you can scan 30 pins at a time !